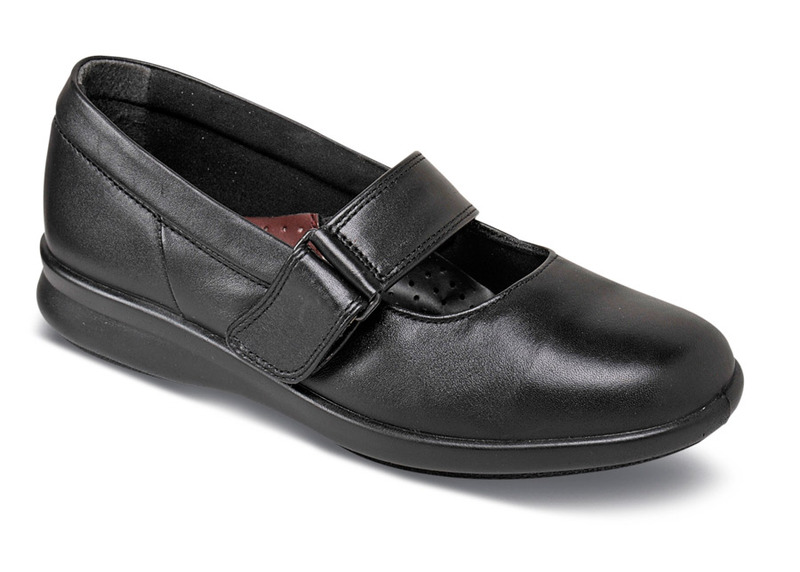 The feminine "Florence" mary jane comes in the widest widths from easyB, England's pre-eminent wide shoe specialists. The soft black leather uppers have an extra-wide strap that opens easily but secures firmly. Its leather-covered insole can be removed to make room for orthotics. The lightweight outsole is cushioned with built-in air bubbles. Comfortable fabric linings. Made in England in U.K. sizes equivalent to U.S. women's sizes 5, 6–9 and 10 in 2E; whole sizes 5 to 10 in both 4E and 6E.